The eminent conductor Tania Miller leads this Madison Symphony Orchestra program, which opens with a work whose premiere she directed in 2014, Home, by her Canadian countryman Michael Oesterle. This is a brisk work of shifting moods reflecting the immigrant experience, particularly the composer’s own experiences as an immigrant to Canada. Also making his debut with the orchestra is cellist Zuill Bailey, who plays the profound Elgar Cello Concerto. We close with Tchaikovsky’s powerful fifth symphony, a deeply emotional work dominated by the forbidding theme of Fate. This work was composed in 2014, as the final movement of Oesterle’s symphony New World. It was premiered in May of that year by the Victoria Symphony, directed by Tania Miller. Duration 22:00. 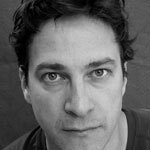 Composer Michael Oesterle was born in Ulm, Germany, but immigrated to Canada in 1982. He studied music at the University of British Columbia and Princeton University, and since 1996 has lived in Montréal. Oesterle’s works have been commissioned and performed throughout Canada and the world. He has wide-ranging interests as a composer and performer (electric guitar), and was a founding member of the Montréal-based Ensemble KORE, devoted to performance of contemporary music. As a composer, has produced both concert works for orchestra and chamber ensembles, as well as collaborations with dancers and choreographers, video/installation artists, animators, and painters. Elgar’s cello concerto was composed during the summer of 1919, and was first performed on October 27, 1919 in London. The composer conducted the London Symphony Orchestra at the premiere, and Felix Salmond was the soloist. It has been performed three times previously by the Madison Symphony Orchestra, with Shauna Rolston (1994), Lynn Harrell (2000), and Alban Gerhardt (2008). Duration 30:00. 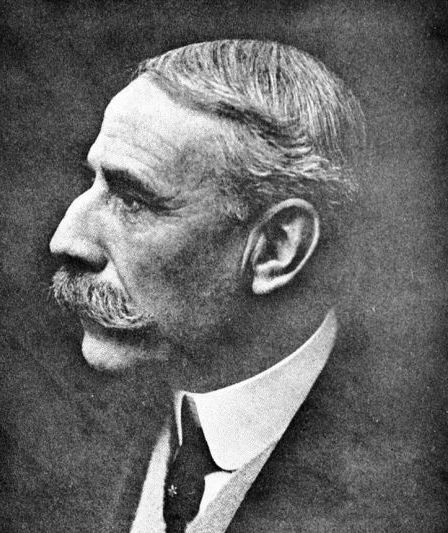 The period at the end of the first world war was a time of pain and creativity for Englishman Edward Elgar. The war years were especially hard for him, as Elgar owed much of his success as a composer to German conductors and German audiences—a politically disastrous admission to make—and many of his close friends, both English and German, were lost in the war. The final blow came in late 1919 and early 1920, when his beloved wife Alice grew ill and died. His activities as a composer had always been interspersed with bouts of depression, but in 1918 and 1919 he had what was to be his final great burst of creative energy, producing several chamber works and his fine Cello Concerto. These wartime works turn away from the Edwardian grandiosity of the Enigma Variations, his symphonies and the Pomp and Circumstance marches, toward a more introspective and profoundly sad character. The concerto is sad but never dull, and has hardly perished: it has remained one of the standard solo works for cello. Though the style of the music is clearly Romantic, Elgar chose a highly individual four-movement form. The opening movement, set very loosely in sonata form, begins with a brief passage for solo cello (Andante). Elgar introduces and develops two broad themes in the body this movement (Moderato): a legato phrase heard first in the strings, and slightly livelier theme introduced by the clarinet. After a free recapitulation, Elgar launches directly into the second movement. This scherzo (Allegro molto) begins with a slow, introspective passage, but gradually builds up steam and quickens tempo, to introduce a quick-footed, and slightly sinister main theme in the cello. The third movement (Adagio) is the heart of this concerto. Elgar lays out a long, thoroughly Romantic melody in the solo cello, and gently develops it over the course of the movement. As in the first movement, he ends in a tentative way, in this case a brief solo recitative, leading into the next, and final movement. The finale (Allegro ma non troppo) is set in a free rondo form, but before things really get rolling, there is a brief cello cadenza that recalls the mood of the very beginning of the concerto. Though the rondo is traditionally a light form, there is an underlying mood of pessimism in the main theme and the contrasting sections, particularly in a slow passage for the cello. Near the end, Elgar brings back reminiscences from the first and third movement. The concerto comes to an abrupt close with a final statement of the rondo theme. Tchaikovsky’s fifth symphony was composed in 1888 at the composer’s summer retreat in Frolovskoe. He conducted the first performance in St. Petersburg on November 17, 1888. The symphony has been performed on seven previous subscription concerts, beginning in 1936. Our most recent performance was in 2009. Duration 47:00. Over ten years passed between the time Tchaikovsky completed his fourth symphony and the composition of his fifth—a decade of deep self-doubt and insecurity. During much of this period, Tchaikovsky was bedeviled by guilt over the ending of his brief and disastrous marriage, and by upheaval in almost every area of his professional and private life. This turmoil is the very fabric of the fourth symphony and the opera Eugene Onegin, both of which were completed in 1878, but these works seem to have exhausted Tchaikovsky’s creative resources. Much of the next ten years was spent in seclusion or travelling throughout Europe. Although he continued to compose during this time, few of the works he produced had the energy of his earlier music. It was not until 1885 and afterwards, with the enthusiastic admiration of the Czar, increased popularity of his works in Russia, and an enormously successful tour of Europe in 1887 that Tchaikovsky began to recover from this emotional crisis. It was not until the following year, after a superb performance of the new symphony in Hamburg, and amid glowing reports of its success elsewhere, that Tchaikovsky himself began to express some satisfaction with the work. 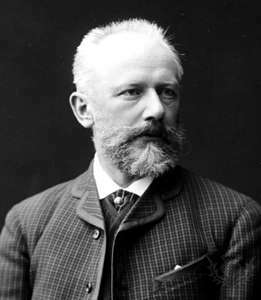 Although the fifth symphony does not have an explicit program, it is apparent from Tchaikovsky’s writings that both this work and the fourth symphony have Fate as their central idea. However, the musical realization of this idea is very different in the two works. In the fourth symphony, the motive associated with Fate is resoundingly announced by the brasses and plays an adversarial role throughout the work—it is as if, in 1878, that Fate was something against which Tchaikovsky felt a need to struggle. However, his relationship with Fate in the fifth symphony is more resigned, even relaxed. Tchaikovsky biographer John Warrack has suggested that, in both works, the figure of Fate “... is referring to his central emotional problem, his homosexuality.” It is relatively certain that, by 1888, Tchaikovsky had come to terms with it. Although he still felt guilt pangs, his acceptance was accompanied by a deepening religious conviction and renewed confidence. A clear sense of this cautious self-assurance comes through in the symphony’s triumphant finale. The symphony opens with a slow introduction (Andante), quietly stating the motto that provides the dramatic background of the entire work—the motive that Tchaikovsky identified as “Fate.” The clarinet and bassoon introduce the main idea of the movement’s body (Allegro con anima), an E minor theme that Tchaikovsky may have derived from a Polish folk song. Strings introduce a contrasting group of ideas, which are much more lyrical in nature. The movement is worked out rather conventionally in sonata form, but the music is expressive throughout, creating moods of yearning, sadness, and emotional turmoil. The second movement (Andante cantabile, con alcuna licenza) is based upon one of Tchaikovsky’s most beautiful and expressive melodies, sung by solo horn above a light background of strings. There are gentle answers by clarinet and oboe, and a change of mood. This central section builds gradually towards a climax: a statement of the Fate motive by the brass. He returns once more to the lyrical mood of the opening, but at the end, the mood is shattered again by the return of Fate. Tchaikovsky’s waltz (Valse: Allegro moderato) is set in a three-part form—two principal sections enclosing a contrasting section or trio. In this movement, the main theme was inspiired by a Florentine street melody he had heard some years earlier. The trio takes on a lighter character, dominated by a quick 16th-note melody passed among the strings and woodwinds. After a reworked version of the main idea, Tchaikovsky adds a coda, which includes an ominous statement of the Fate motive by the clarinet and bassoon. Here, it is fitted into the triple meter of the waltz, but it seems no less forbidding. The introduction to the last movement (Andante maestoso) presents the motto in a major key, now transformed from something frightening into a triumphant march. The body of the movement (Allegro vivace) returns to the E minor of the beginning of the symphony. The first group of themes are generally quite forceful, while the second group, dominated by solo woodwinds, seem more hesitant. The Fate motive rounds off the exposition, and pervades this movement as whole, finally set in an extended coda. At the end, there is a surprise—the main Allegro theme of the first movement returns in the closing bars, transformed, like the Fate motive, into something exultant and optimistic. This ending appeals for a programmatic explanation: the dark feelings of the beginning (guilt? shame? self-doubt? ), have now been assimilated or overcome; the music has come full circle and the spirit is victorious.